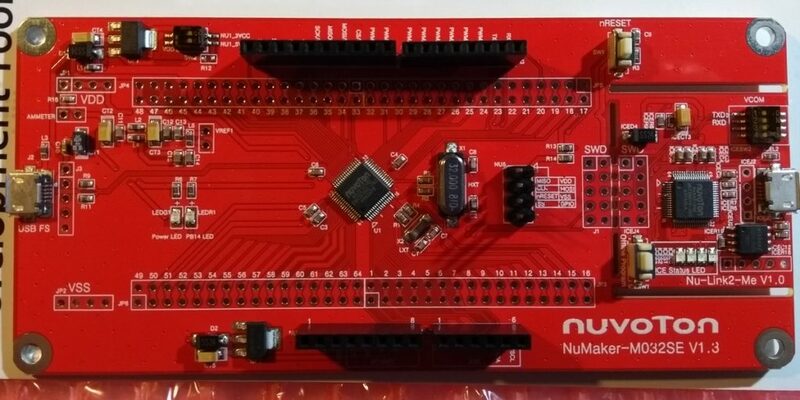 The NuMaker-PFM-M2351 is fantastic board powered by a microcontroller from the ARM Cortex-M23 family. 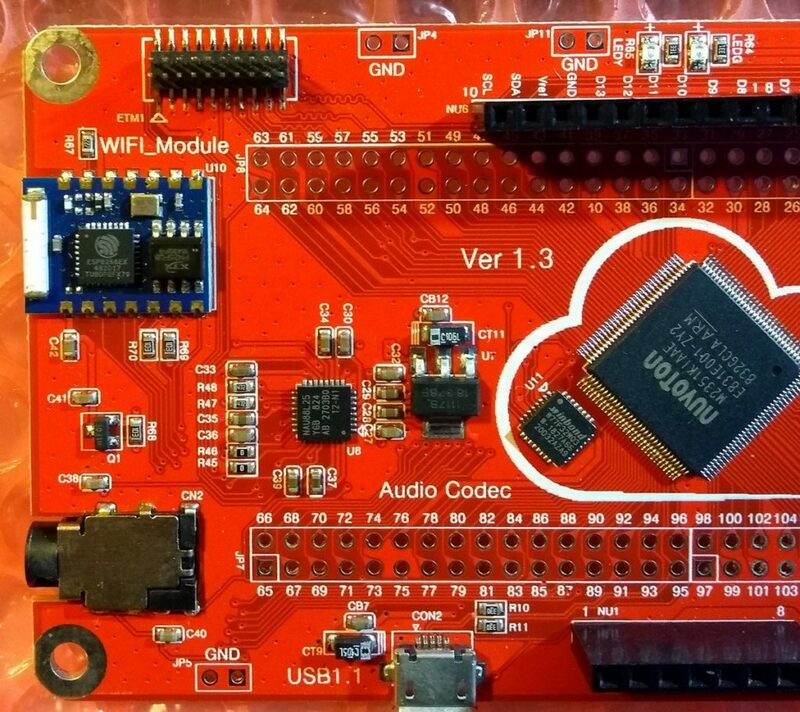 The board combines a secure memory, one WiFi module (ESP8266EX ESP03), one NAU88L25 audio codec with a 3.5mm Mid-Mount SMD headphone jack and one Micro-SD socket placed on the back side of the board. 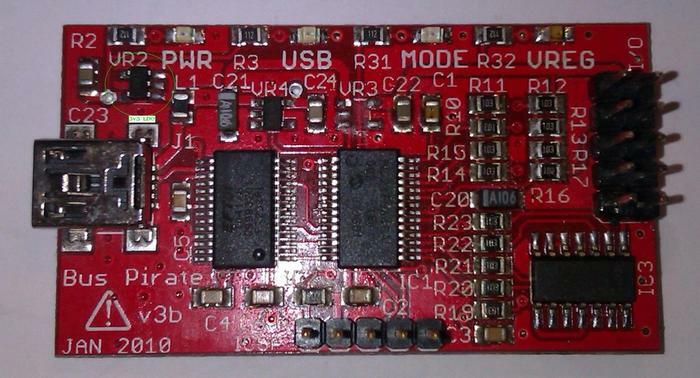 The ESP03 module can be programmed from the M2351’s UART3. 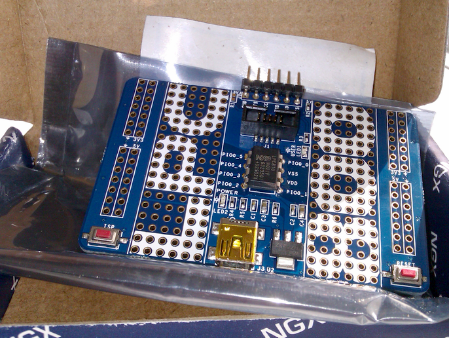 Arduino UNO Shield compatibility is by default. The pin strips are installed. 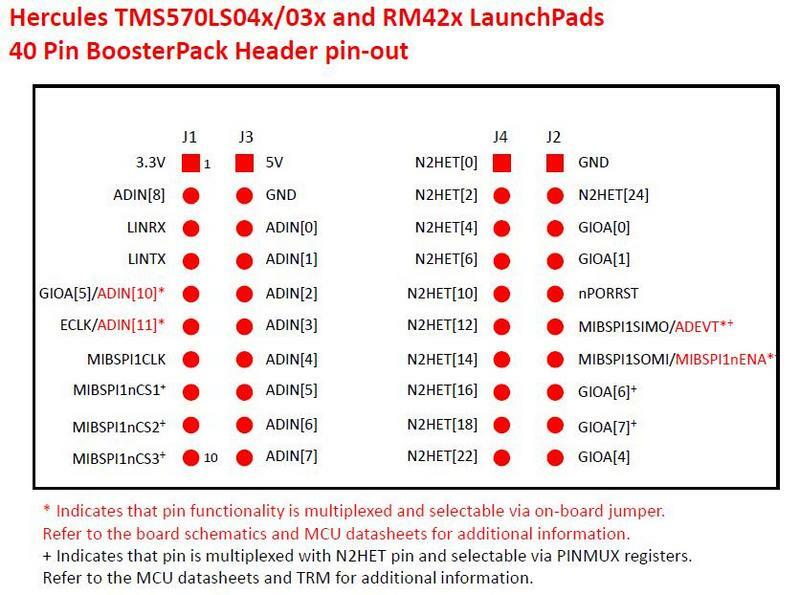 The MCU’s pin are fanout to 2.54mm 128 pins placeholder. No pinstrips included. 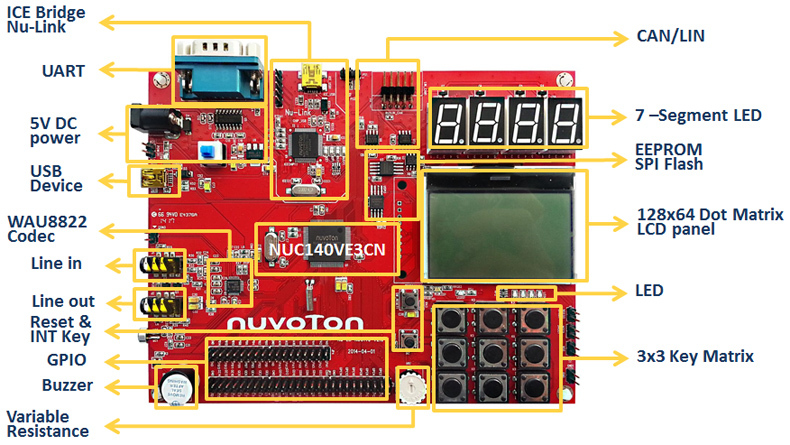 It seems that Nuvoton built the board as a IoT Device Reference Design. 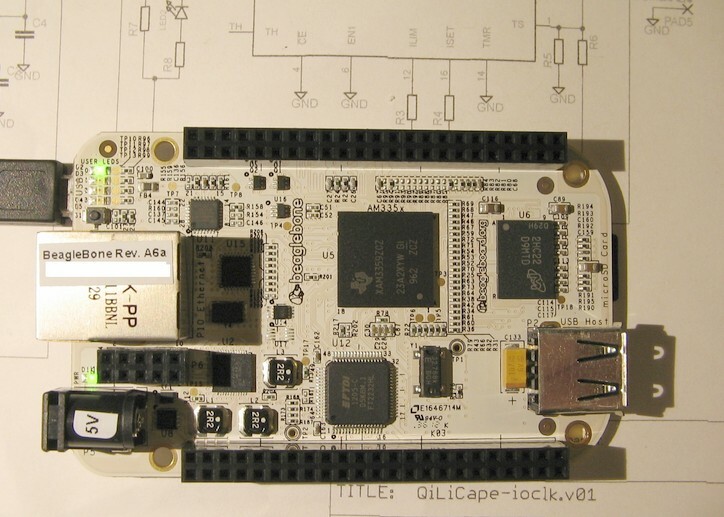 The combination of the Crypto Accelerator and the Secure Flash Memory brings the board in the Secure IoT class. 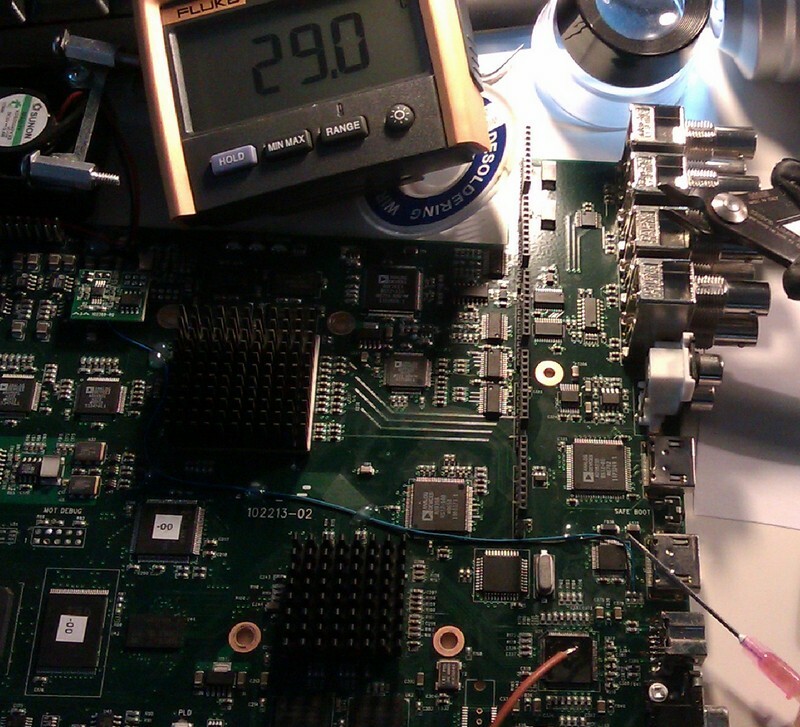 Therefore, you can build Secure OTA upgradeable firmware. 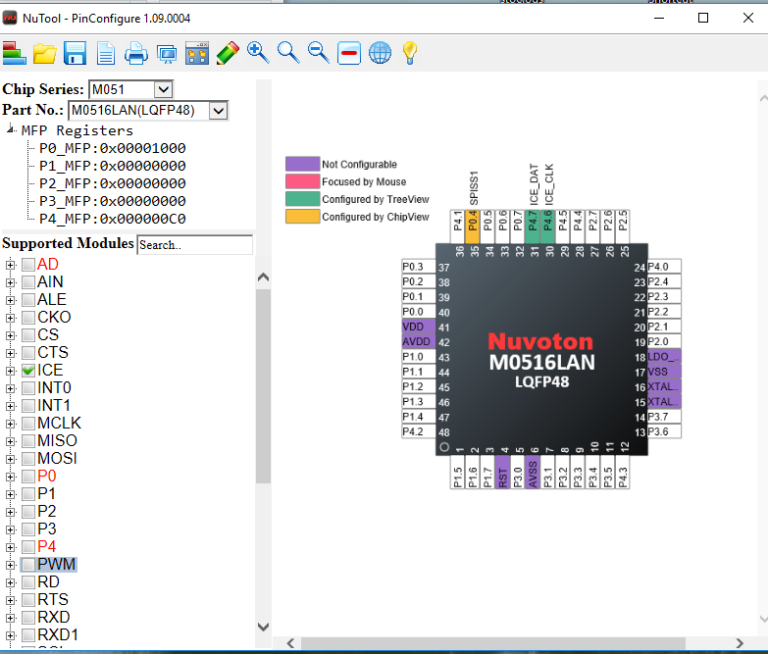 I was surprised seeing that Segger offers emWin as library completely free for some Nuvoton chips including the M2351. 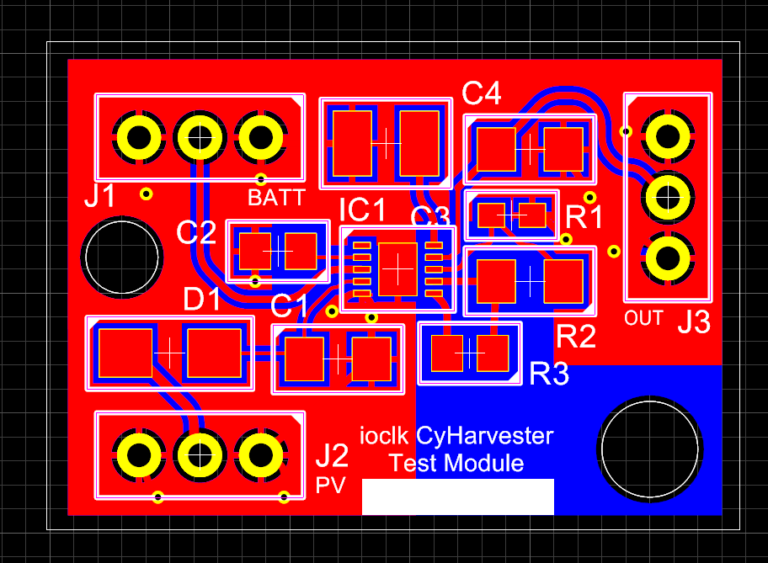 It may be cheaper than using Synergy for some displays. 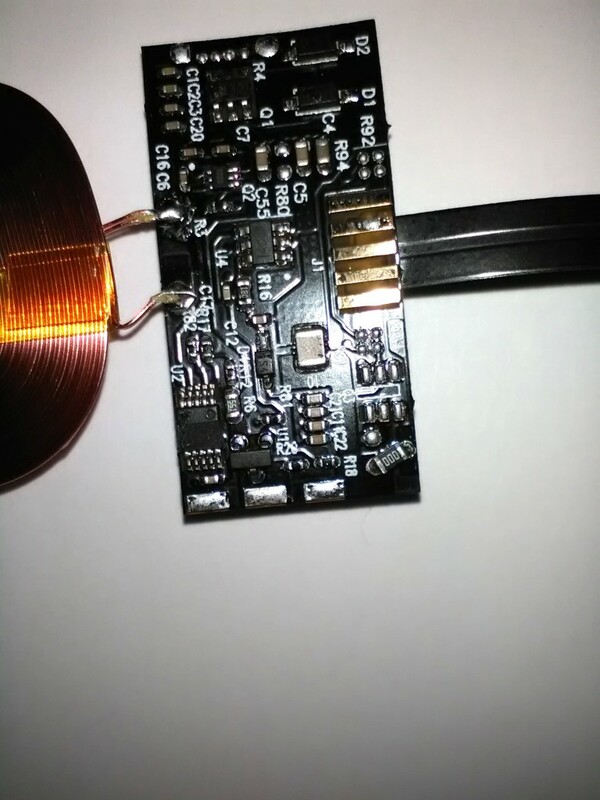 Only after I changed the VCP Com DIP Switch I saw the board’s MBED flash drive showing in My Computer. 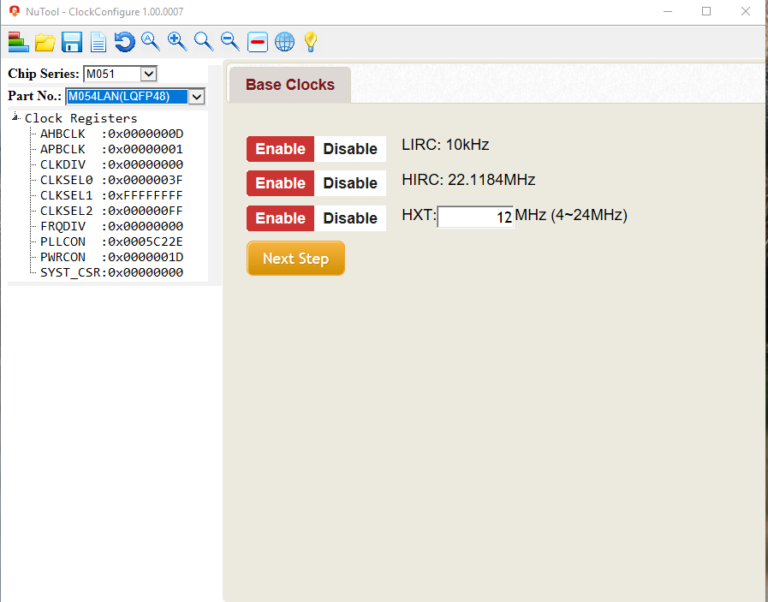 In addition, I’ve enabled it in the MBED Online Compiler. 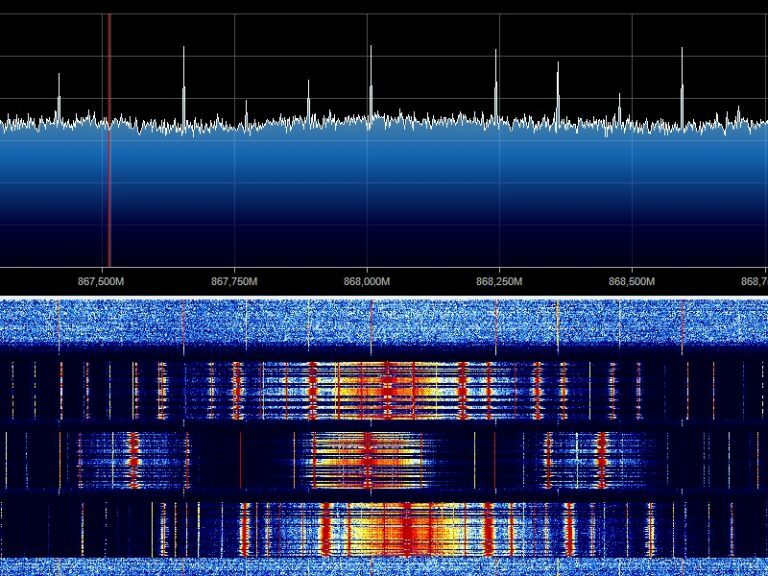 The Break-Away Programmer seems to be the usual Nu-Link-Me but is called ICE V3.0 – anyway is a very good SWD Debug/Programming Interface. 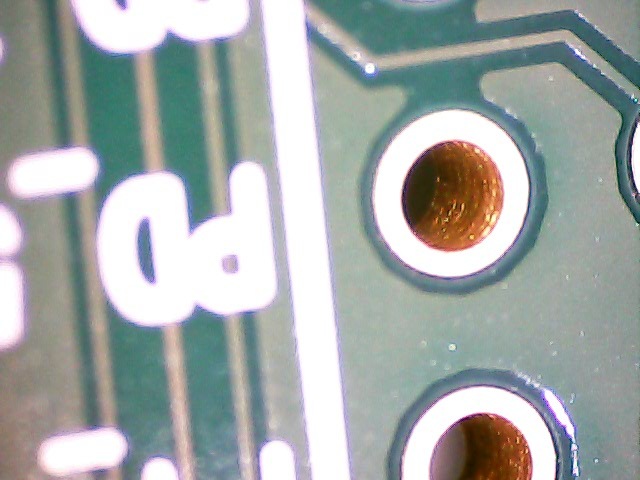 The ETM1 Trace Connector is connected on the Embedded Trace Macrocell Trace pins of Port.E and also SWD. 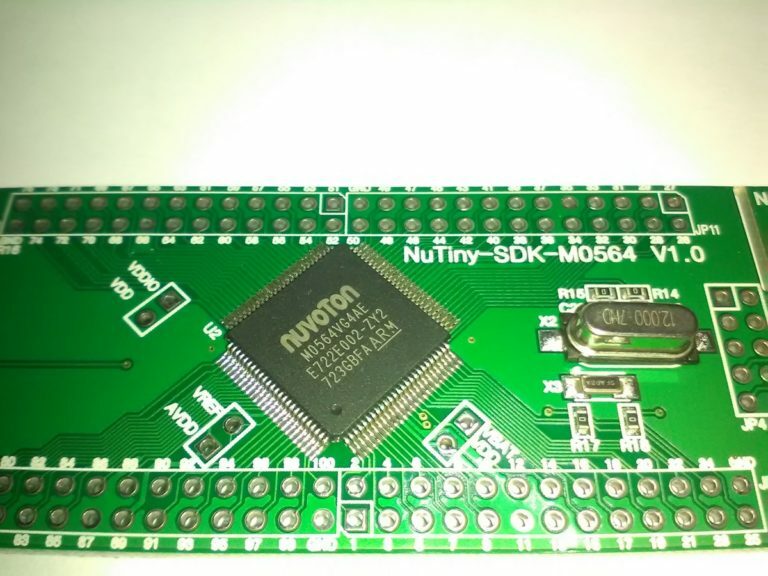 Huge discounts on development kits by Nuvoton (https://www.nuvoton.com/) via Nuvoton Direct (https://direct.nuvoton.com). 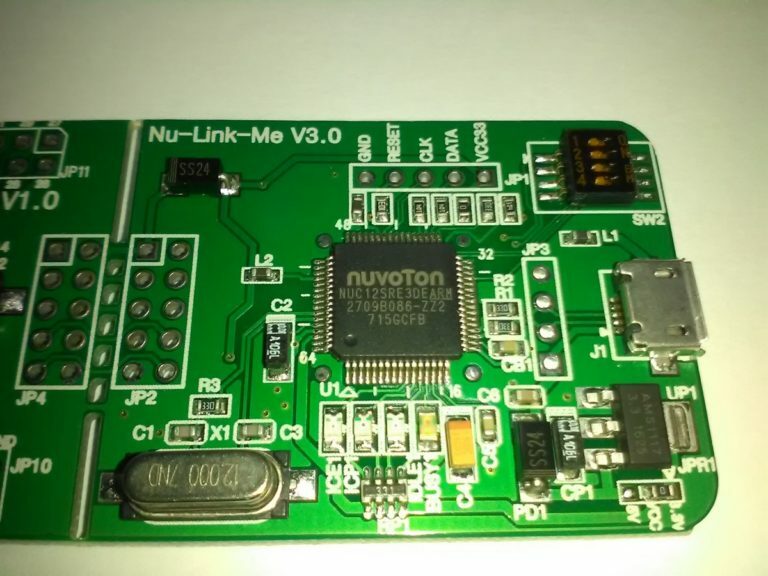 The 8051 based bundle offer at 50% (100pcs N76E003AT20 + devboard + Nu-link) is back again and you can find the Cortex-M4 bundle (100pcs M451MLG6AE + NuTiny-M451V + Nu-Link Pro ) https://direct.nuvoton.com/en/-m451-big-bundle- and that’s fabulous! 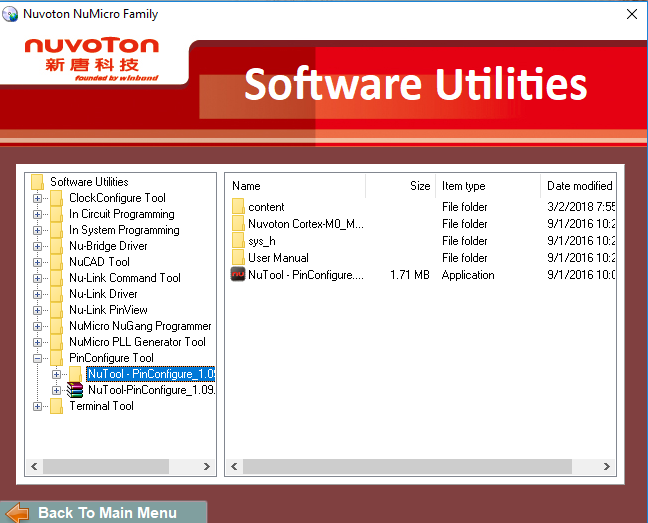 Testing the Nuvoton NuTiny-SDK-M0564 – development tool for the M0564 series microcontroller. 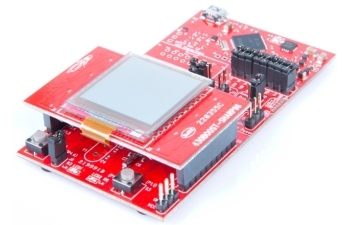 The M0564VG4AE is a Cortex-M0 microcontroller which can run at up to 72MHz, features 85 I/O pins, 256 KB Flash, 20 KB SRAM, 4KB ISP ROM and 2 KB SPROM(Security Protection ROM). 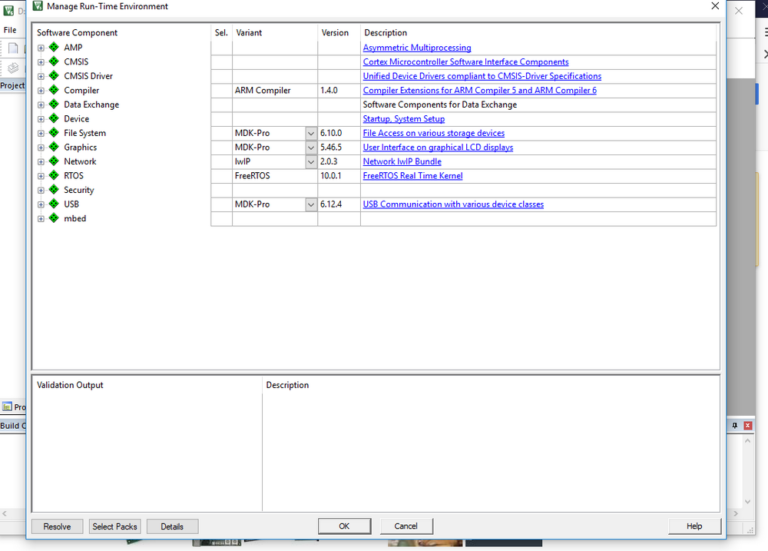 The archive contains some useful AppNotes, drivers for Keil and IAR, CooCox BSP, Datasheets and some useful stand-alone programs like ClockConfigure Tool, NuMicro PLL Generator Tool. 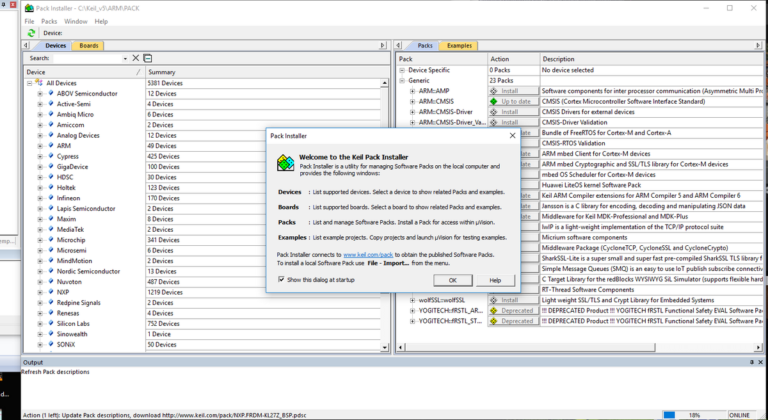 The next steps are: install and configure Keil, add packs, CMSIS… etc. 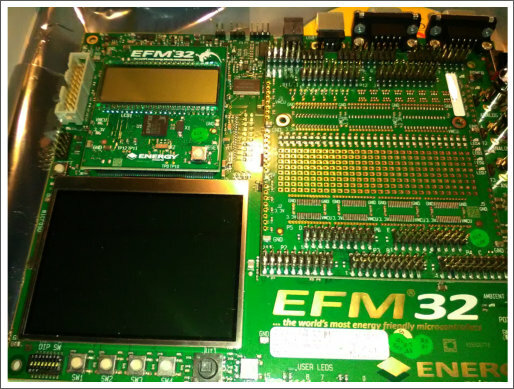 The EFM32 Development Kit features the EFM32G890F128 MCU (128 kB flash + 16 kB RAM) and is one of the best kits designed for low power device development. 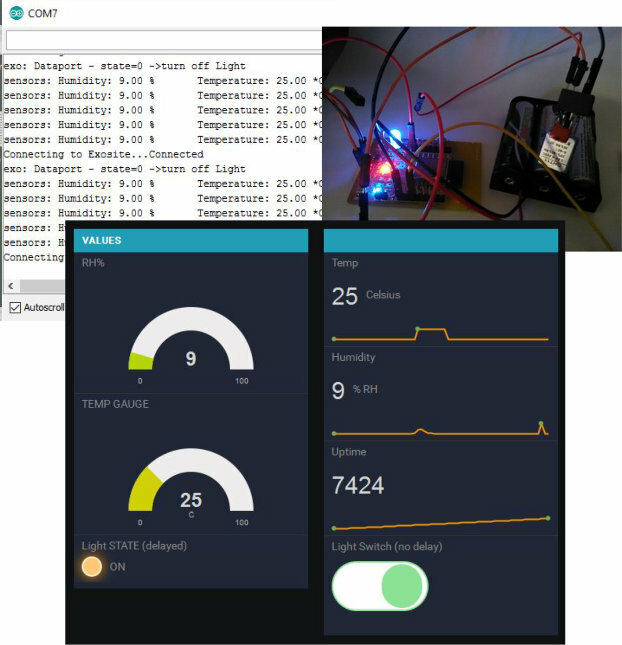 The Advanced Energy Monitoring (AEM) system is practically a very good power monitor and logger, embedded in the Development Kit. 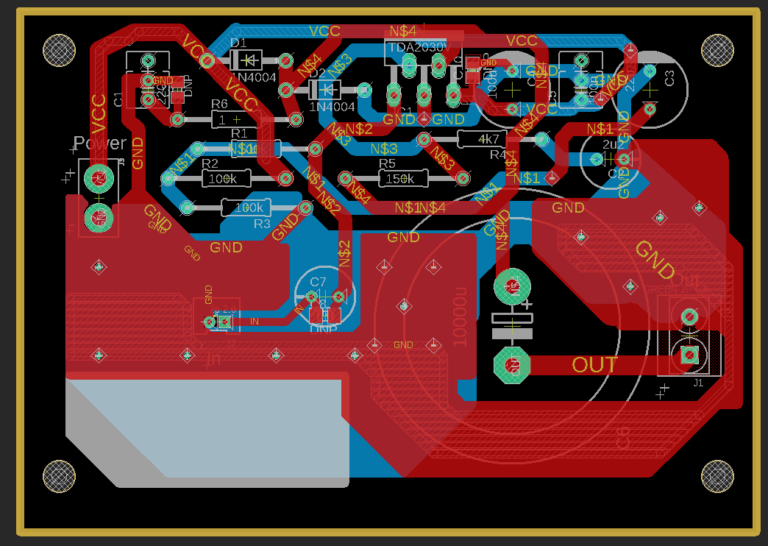 Some other kits are doing this in the IDE, but to have it with a display onboard is awesome. 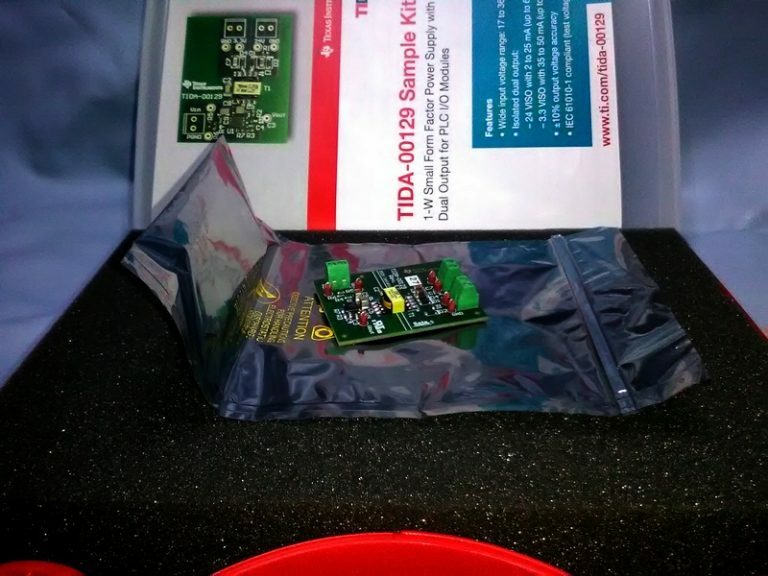 A large spectrum of techniques, from using different low power modes to switch-off peripherals can be tested directly and all with one kit. 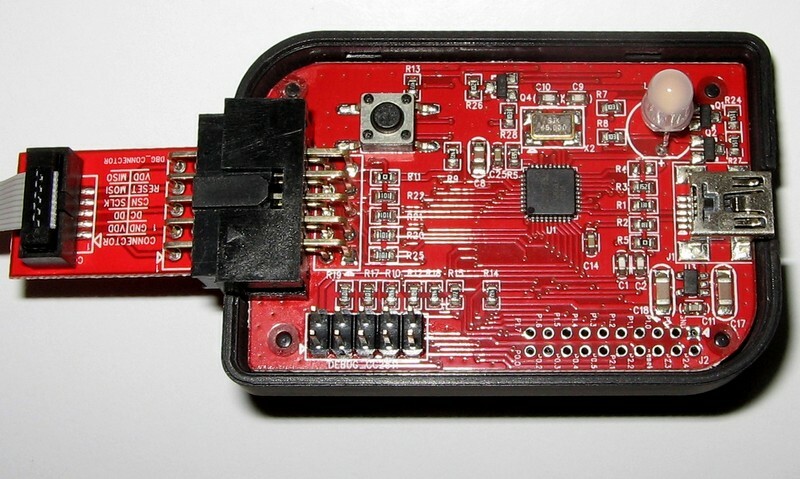 The on-board Segger J-Link enables debugging. 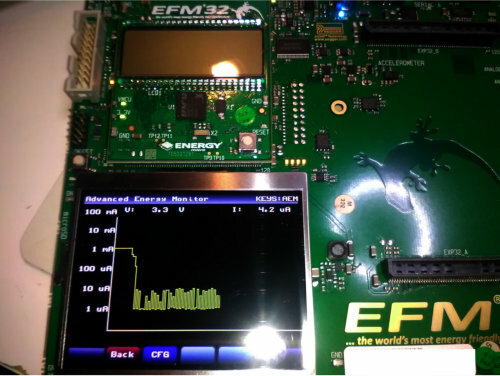 The OOB configuration enables that the EFM32 can be programmed with many demo programs selected with the 320×240 TFT Display GUI and the power consumption can be monitored on the same TFT after programming. 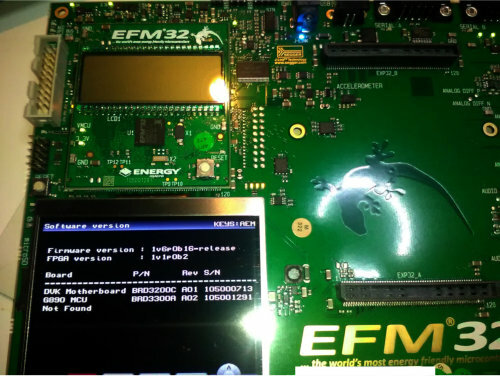 Wolverine in a FR5969LCD Bundle – Is this THE Wolverine? 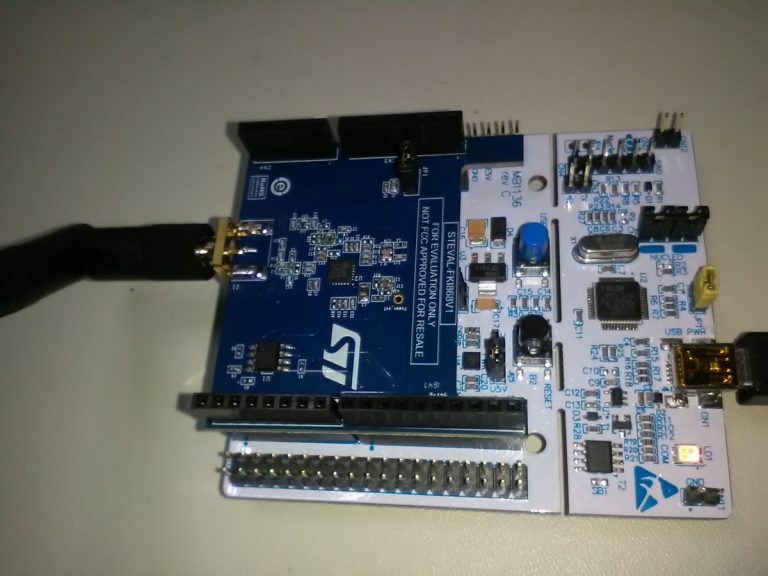 A new Launchpad with a 64k FRAM MSP430 – the MSP-EXP430FR5969 – bundled with a LCD BoosterPack featuring a nice Sharp 1.3″ 96×96 pixels Memory LCD. 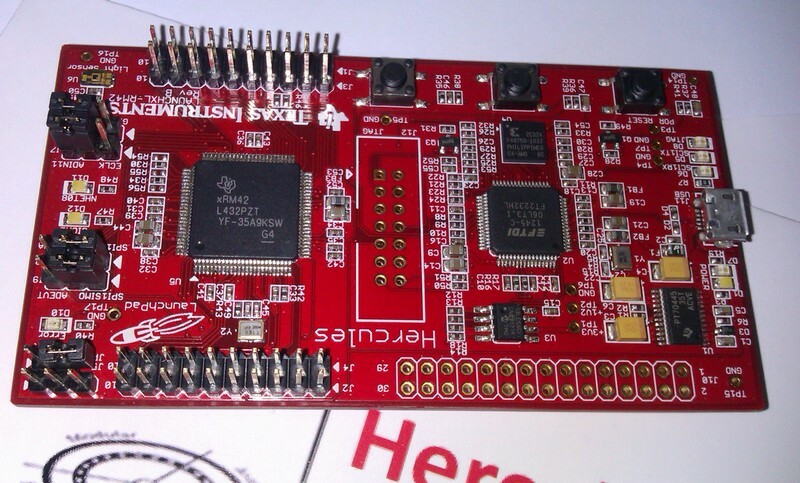 The Hercules RM42 Launchpad features a 100MHZ 32bit Dual ARM Cortex – R4 cores MCU designed for safety-critical applications. 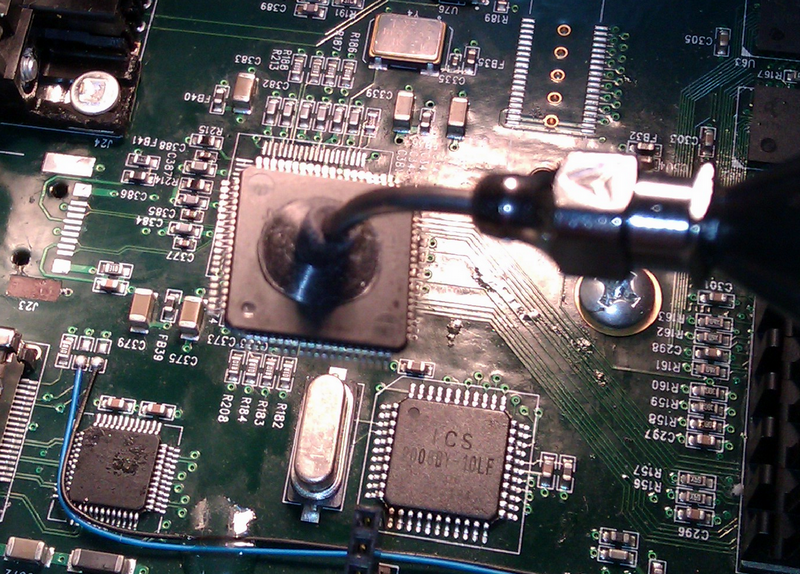 The debugging part is a FT2322 + XC2C32A based XDS100V2 which provides a free CCS license. 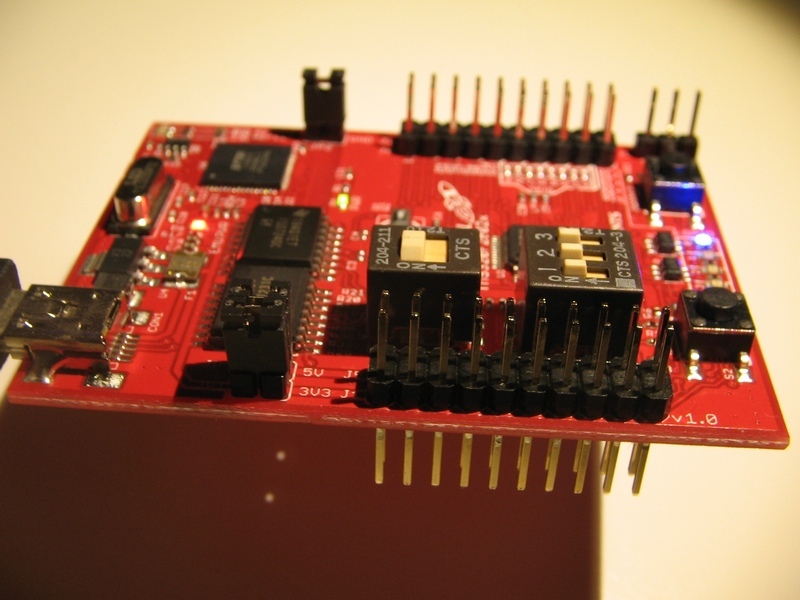 One great tool is the HALCoGen, the driver generation tool for TI’s Hercules Microcontroller Family. 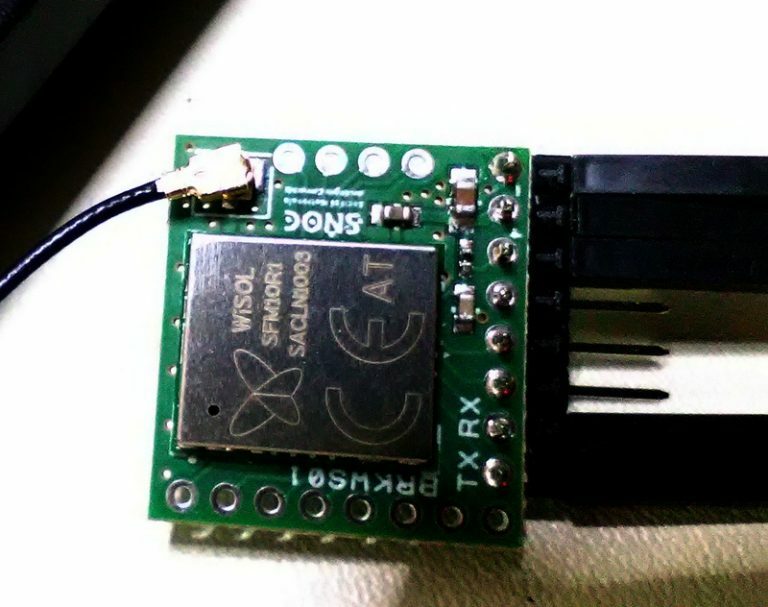 * configures ADC to start conversion ona GIO trigger and display it over an uart . 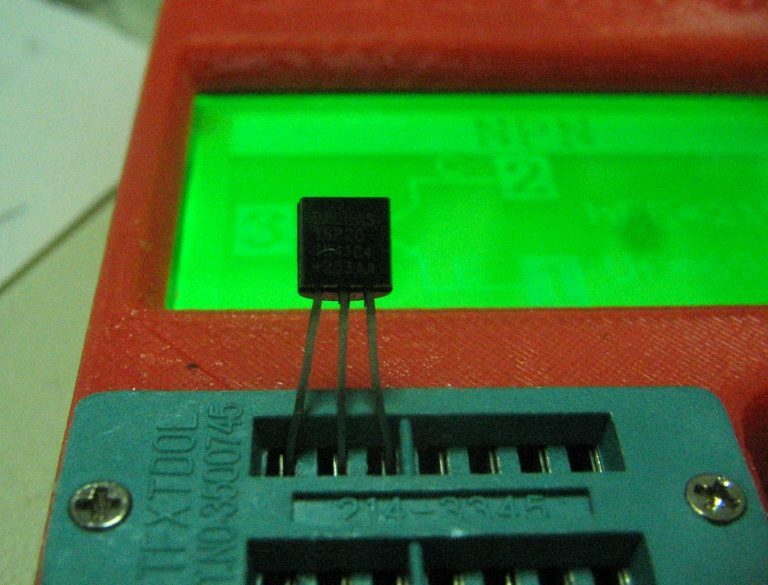 * no parity ,2 stop bits. * Create a new project. * @image html example_createProject.JPG "Figure: Create a new Project"
* @image html adcDisplay_enabledriver.JPG "Figure: SCI Enable Driver"
* @image html adcDisplay1.JPG "Figure: ADC General Configuration"
* – Configure ADC Group 1 with "Hardware trigger" source as "GIOB0" at "Rising edge"
* @image html adcDisplay2.JPG "Figure: ADC Group Configuration"
* @image html sci_uart1.JPG "Figure: SCI Configuration"
* Copy the source code below into your sys_main.c or replace sys_main.c with this file. * please make sure that you link in the right main function or copy the source into the user code sections of this file. 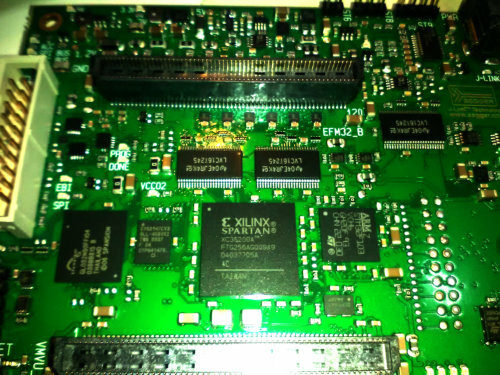 The board runs a Timesys Linux very good distribution on a powerful i.MX6 Quad Application Processor and is designed following the Freescale’s SABRE specification. I’ve noticed some heating problems at 3D rendering but the quality is very good. 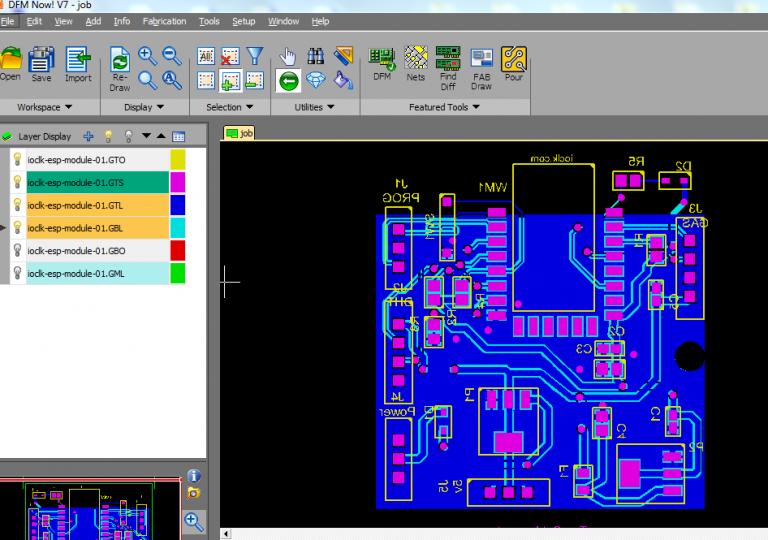 Development Tools: TI Control Suite which comes with all software examples needed. //                  the LLC stage on the same board. 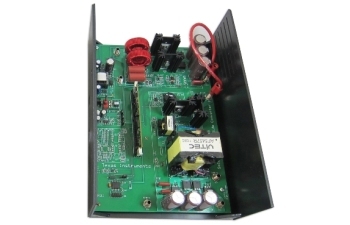 Electrical power systems require the optimal combination of primary and secondary sources.